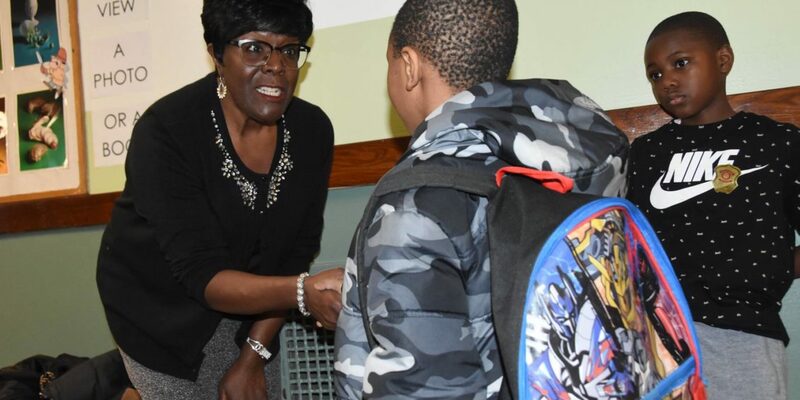 Six days after Rochester for All exposed the fact Deputy Mayor Cedric Alexander directed his executive assistant to do work on his outside business activities, she was terminated. Diane Jackson had been a longtime executive assistant for deputy mayors. She is known for her warm and friendly personality. Sources say City Hall staffers were shocked at her firing. As a secretary to a senior manager, she had no union protections. Rochester for All filed an open records request for documents related to her departure. 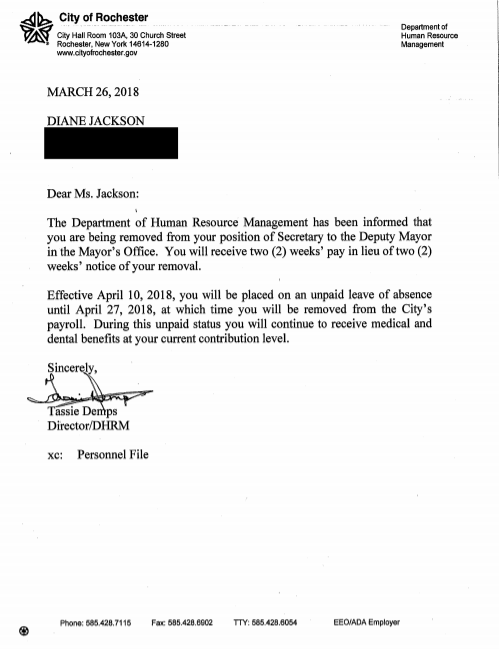 The city provided her termination letter, dated March 26. Rochester for All published a report on March 20 detailing Jackson’s efforts to book Alexander’s travel to outside events. In one case, she secured his speaking fee. The report was based on work emails. Rochester for All has questioned Alexander’s business activities as they relate to his job as deputy mayor. Alexander changed time cards after we requested his official schedule. Records show he has been given more vacation days than he has earned and struggles to reach 80 hours a pay period on the clock. Rochester for All is attempting to reach Jackson to find out more about what led to her firing.